I have taken my two kitties to stay with with my boyfriend, Nobby as they were causing all sorts of mischief at my flat when I left them there alone. I imagine it’s because I spend so little time at home working late and then spending a lot of the weekend with Nobby. But now I have another problem. When I put Newt and Max in The Cat shack while we were away in the Kruger Park they did not seem to have any problem adapting to the other strange cats and according to Brenda they did not fight with any of the other cats. However, having them at Nobby’s house turns out to be a completely different scenario altogether. 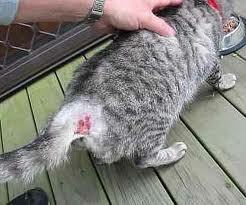 Max has attacked Nobby’s cats every time we’ve let him out. We started off by putting Max and Newt into a very large room for the first week. Newt has had very little trouble adapting and he gets along with Nobby’s cats to a degree (very few hissing fights since we’ve let him out) but Max on the other hand has single-handedly attacked and injured both Nobby’s cats on every occasion that we’ve let him out among them. I’ve run out of ideas to get them to live peacefully or at least co-exist without killing one of them every time they meet. We’ve tried putting them in the same room with Max in a cat box so he can cause no harm, but the other cats don’t even go near him and he just sits mewing mournfully through the whole episode. We leave the door of the room he’s in ajar, just enough for them to smell each other, but at this point Nobby’s cats won’t even come into the house anymore. We’ve tried rubbing a towel over Nobby’s cats and then over Max and visa versa to get them used to each other’s smell, but I think that it’s pretty pointless as Maxs’ smell is wafting thru the whole house anyway and this is why the other cats refuse to come inside. Please could you give me some advice here. Max is at least 3 times as big as the biggest of Nobbys cats (in fact Newt is almost twice the size of Nobbys biggest cat and the other one is half the size of his big one), so leaving Max amongst them to just let them fight it out almost seems cruel and silly, cause so far they did not stand a chance against him once. I can’t imagine what Brenda does to keep the cats from fighting, but maybe you can give me some ideas as to what I can do to at least keep Nobby’s cats alive and well till they are all used to each other? She said that the only thing she does is keep a diffuser running with some herbal essential oils in it. Do you think this could possibly have such a great effect on them? Is there something else I could do to get Max to calm down and leave the other cats alone? Please, any help you can offer will be greatly appreciated. I hate keeping Max locked up and I can see that it’s getting to him now. 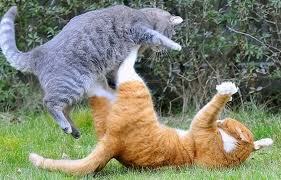 Your email was forwarded to me about your problem with Max and the other cats. Of course Max has now terrorized the other cats to a point that they do not want to come near him, and even the house. At the Cat Shack, I am not sure if they were kept in a run, or let free amongst the other cats? There was obviously an established hierarchy amongst the cats there and that is why Max was okay. However, being at Nobby’s house is different as there are probably fewer cats around, and Max has managed to show his absolute hierarchy over all the other cats. I would suggest that you get a diffuser that releases the cat “happy” pheromone which I have known to be a success in these situations. 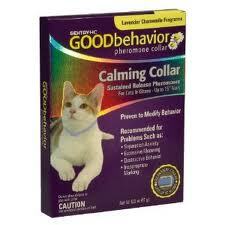 There is also a cat calming collar which also releases this and can calm him down. What you can also do is get a water pistol or a water spray bottle (make sure it gives a direct spray not a fan) and when Max is out and tries to attack the other cats give him a very good squirt of water to distract him from what he is doing. 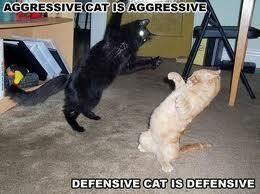 One Response to "My cat is attacking boyfriend’s cats – new cat attacking old cats"